We've all heard that a million and one times for sure and my next favourite eyebrow quote is brows are sisters not twins which literally means that they don't have to be perfect opposites but just need to have similarities. It's always tiring to watch people trying to make both of them look exactly the same, lol. I've got loads of hair on my head and other parts of my body (which can't be mentioned here *coughs*) but yeah, you get my drift right? When I cut my hair (and even while I had it), I frequently got asked questions about my brows. Now the thing with it is that it never always looked the same but one thing it has always had is fullness. Just like the hair on my head, my brows are full and because I love growing them to their natural fullness, I do go lengths of time with it being bushy and all. Somehow, I still manage to keep it looking nice and still get asked "How do you manage your brows Barbara?". Thus, this series was born. 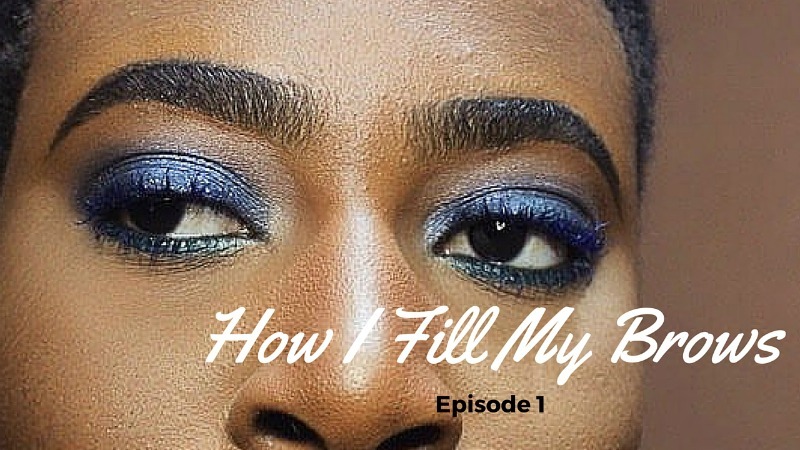 The first video installment in the How I Fill My Brows series features my brows trimmed and well defined. All I have to do here is fill them in with powder, use foundation to clean out the line and emphasize the tip and we are good to go.